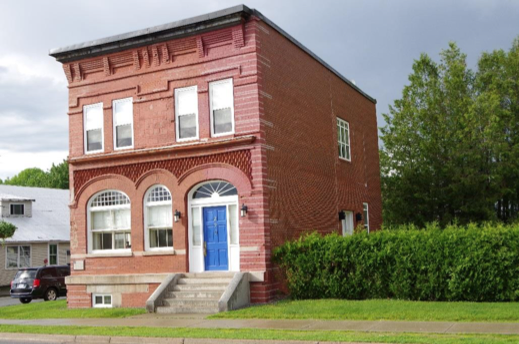 Dr. Thomas Morrison, Heritage Standing Inc.
Safety concerns and costs of rebuilding the 130-year-old Brick House on 270 Water St. brought two masons to Tom Morrison at Heritage Standing Inc. The Brick House, constructed with an unreinforced masonry exterior and a timber frame interior, had two deteriorating external walls that were at risk of collapse. Contractors advised total disassembly and reconstruction of the historic street facing façades (photos 1 & 2). Reconstruction was too costly for the owner to implement immediately and Tom Morrison was asked to provide temporary safety-focused remediation. After carefully assessing the cause of the problems (photos 3-5), Tom Morrison was able to design an alternative option that not only satisfied safety requirements but also conserved the two failing walls. The new design removed the need for costly reconstruction, was a better application to the Standards and Guidelines, saved a unique community building and was a third of the cost to the owner. The site visits began in July 2017 and the project was completed in February 2017.